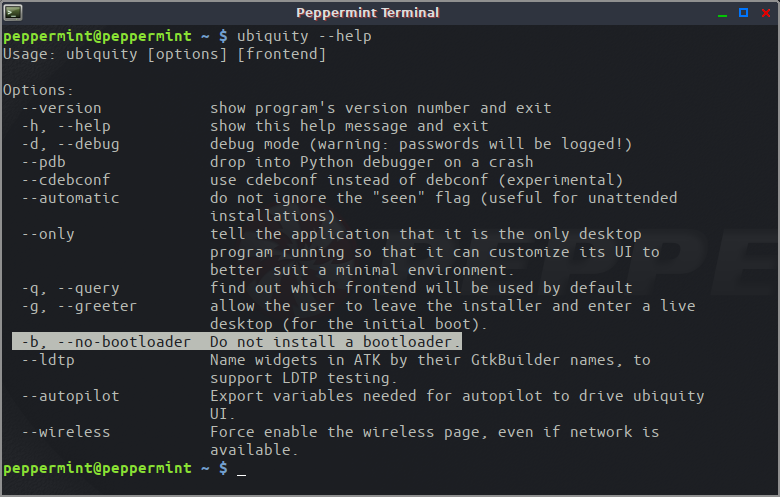 -) Est il possible d'installer Peppermint sans installer grub ? -) y a-t-il un script ou recherchez cette option pour modifier cela ? 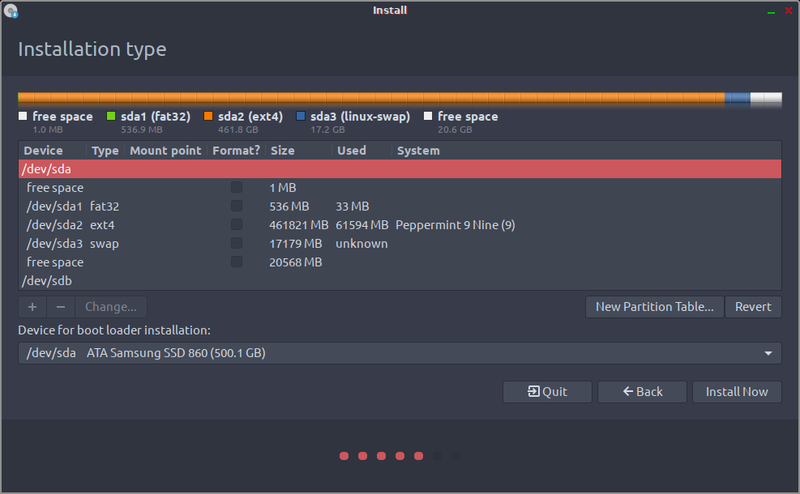 -) Is it possible to install Peppermint without installing grub? -) is there script or look for this option to modify ? Is that screenshot from your PC ? If so your system appears to be UEFI, the 32bit version of Peppermint will not install on that machine unless you switched to 'Legacy BIOS Mode' because the 32bit version of Peppermint doesn't support UEFI. Install the 64bit version instead. It won't do any harm to install it in the root partition. Then whatever is in the MBR won't be overwritten. OK, I see. I don't know how to do that. 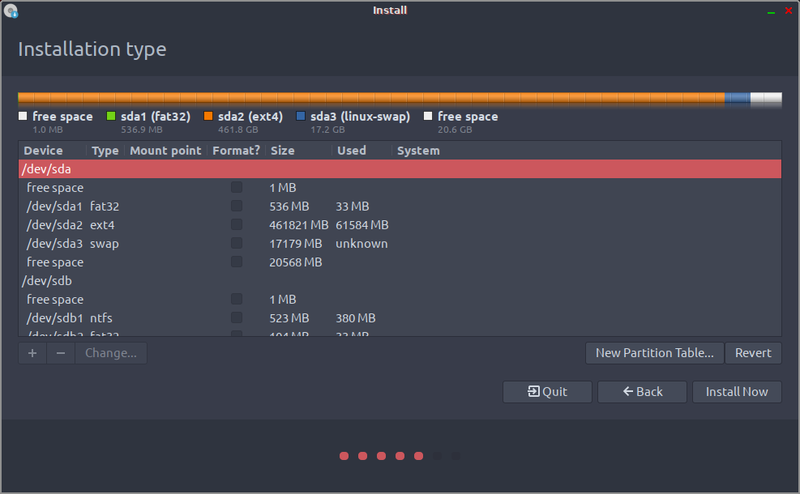 I'd probably just install it with GRUB on the partition and then find out how to erase GRUB from a partition. I don't see what harm it does to just leave it there though. As you say there is no option to not install the GRUB bootloader. As you can see, there is an option to start ubiquity with the --no-bootloader (or -b) option.